The global fishmeal & fish oil market is projected to reach a value of USD 14.28 billion by 2022, at a CAGR of 8.50% from 2017. The market is driven by factors such as growing trend in fishmeal & fish oil trade and the increasing global demand for quality fish. Moreover, the demand for aquaculture is increasing in export markets, which influences the supply of improved fishmeal & fish oil for animal production. However, factors such as rising prices of ingredients used in fishmeal & fish oil and environmental factors are restraining the growth of the fishmeal & fish oil market. On the basis of livestock application, the aquatic animals segment dominated the fishmeal & fish oil market in 2016. Incorporation of fishmeal & fish oil into the diets of aquatic animals helps to increase growth rate and feed efficiency and enhances nutrient uptake, digestion, and absorption. On the basis of industrial application, fishmeal & fish oil were most widely consumed in the pharmaceuticals industry. Fish oil is used in the pharmaceuticals industry in the form of Omega-3 fatty acids; while fishmeal is used in the production of antibiotics. The consumption of long-chain Omega-3 fatty acids through fish or as an encapsulated fish oil helps to maintain health, especially cardiovascular. Asia-Pacific led the fishmeal & fish oil market with the largest share in 2016. The Asia-Pacific market witnesses the maximum consumption of fishmeal & fish oil due to factors such as the rapid development of aquaculture and the rising consumption of fish & shrimp in the region. The global fishmeal & fish oil market is segmented region-wise, with a detailed analysis of each region by studying the key markets. These regions include North America, Europe, Asia-Pacific, South America, and the Rest of the World (RoW). *Others include sales managers, business managers, and product managers. The fishmeal & fish oil market is dominated by key players such as FMC Corporation (U.S.), Austevoll Seafood ASA (Norway), Croda International Plc (U.K.), Oceana Group Limited (South Africa), and Omega Protein Corporation (U.S.). Other players include Srsan (Turkey), The Scoular Company (U.S.), GC Rieber Oils (Norway), Marvesa (The Netherlands), and TASA (Peru). This study estimates the global market of fishmeal & fish oil, in terms of value, till 2022, segmented on the basis of source, livestock application, industrial application, and region. It offers a detailed qualitative and quantitative analysis of this market with reference to the competitive landscape, and the preferred development strategies such as investments & expansions, agreements, new product launches, and partnerships to gain a larger share of the market. 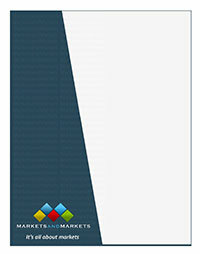 It provides a comprehensive review of market drivers, restraints, opportunities, and challenges. It covers various important aspects of the market. These include analysis of the value chain, competitive landscape, market dynamics, market estimates in terms of value, and future trends in the fishmeal & fish oil market. From an insight perspective, this research report has focused on various levels of analysis?industry analysis (industry trends), market share analysis of top players, supply chain analysis, and company profiles, which together comprise and discuss the basic views on the competitive landscape; emerging and high-growth segments of the fishmeal & fish oil market; high-growth regions; and market drivers, restraints, and opportunities. Market Penetration: Comprehensive information on fishmeal & fish oil offered by top players in the global fishmeal & fish oil market. Product Development/Innovation: Detailed insights on upcoming technologies, R&D activities, and new product launches in the fishmeal & fish oil market. Market Development: Comprehensive information about lucrative emerging markets?the report analyzes the markets for fishmeal & fish oil across various regions. Market Diversification: Exhaustive information about new products, untapped geographies, recent developments, and investments in the global fishmeal & fish oil market. Competitive Assessment: In-depth assessment of the market share, strategies, products, and manufacturing capabilities of the leading players in the global fishmeal & fish oil market.